Under Republic Acct No. 10863 or the Customs modernization and tariff Act (CMTA), Sending balikbayan boxes by Qualified Filipinos While Abroad to their familes and relatives is exempt from payment of duties and ….. Continue reading on our blog…. 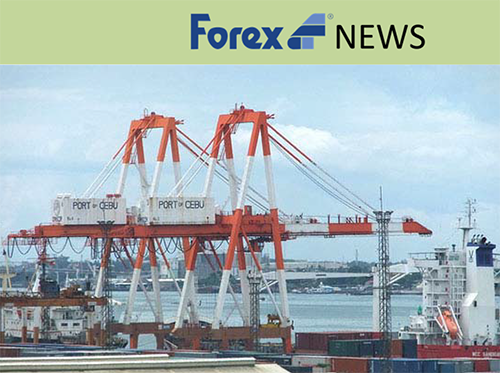 Why Forex Cargo services are more expensive than other Balikbayan Box Companies? Does Forex Cargo use Third Parties to deliver boxes in the Philippines? NO. Forex Cargo does not allow third parties to handle our shipments. Our Balikbayan Boxes are handled with care by dedicated employees to maintain high quality of service. We have our Own delivery fleet in the Philippines, Forex Cargo Philippines. For more information you may also want to check Why ship with Forex Cargo Florida? Wala nang random inspection ng mga balikbayan box, ayon sa Malacanang. Do you accept boxes from other Balikbyan Box Companies or boxes that are not Forex? Yes we accept boxes from any of our competitors and we also accept odd size or custom size boxes. For odd/custom size boxes, we need to know the exact measurements (Length x Width x Height) in inches to determine the price. We would also need to know where you are sending it in the Philippines. For more information, please call our Florida Main Office hotline at 904-458-SHIP (904-458-7447). We will be happy to answer any questions that you may have. canned goods, cookies, chocolates, noodles, coffee, tea, coffee, instant coffee creamer, clothes, small electronics, souvenirs, kitchen wares, shoes to name a few. For more inquiries, call our Florida Main Office hotline at 904-458-SHIP (904-458-7447). Balikbayan Boxes are packages that contains variety of items, these can be gifts, presents (pasalubong), personal effects, household goods such as kitchen ware, tools, clothes, linens, towels, chocolates, instant coffee, coffee creamer to mention a few. Balikbayan Boxes are sent by Filipinos residing or working abroad to their families or relatives in the Philippines to express their love and care through gift-giving. For Forex Cargo Balikbayan Box are not just packages, for us inside that box are what we call “Pagmamahal” that we want our love ones in the Philippines to feel. For more inquiries, call our Florida Main Office 904-458-SHIP (904-458-7447). MANILA – The Philippine Ports Authority (PPA) said congestion at the Ports of Manila is expected to worsen with the arrival of Pope Francis on January 15. PPA General Manager Juan Sta. Ana said that after the nine-day Christmas holiday break, yard utilization at the Manila International Container Terminal (MICT) of International Container Terminal Services Inc. (ICTSI) and Manila South Harbor of Asian Terminals Inc. (ATI) increased to 89 percent from 79 percent on December 24. Sta. Ana said that based on estimates by the Port Congestion-Multisectoral Working Group (PC-MWG), yard utilization will climb by 3 percent a day during the 5-day Papal visit from January 15 to 19.